* ... 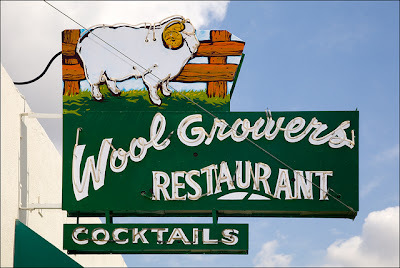 WOOL GROWER'S: It looks like Wool Growers, the famous Basque restaurant on 19th Street, will be getting some more love from the national press. Christiane Camou, daughter of Wool Grower' owner Jenny Maitia-Poncetta, tipped me that the editor of Saveur magazine (James Oseland) popped into the eatery last week. 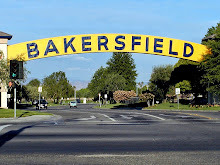 "He enjoyed it so much that he had his photographer take hundreds of pictures of the food, and visited with my grandmother and myself about the history of Basque restaurants in Bakersfield," she said. 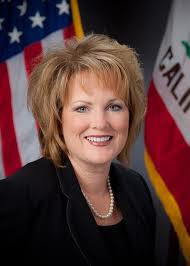 * ... CAL RADIO: Tune in to Californian Radio (KERN1180) Monday at 9 a.m. when Assemblywoman Shannon Grove will be my guest to talk about AB 202, the school marshal's bill. In addition, I will be chatting with Cal State Bakersfield Athletic Director Jeff Konya and Runners baseball coach Bill Kernen. * ... HIGH ACHIEVER: Hats off to Stacy Vanderhurst, valedictorian of her 1994 graduating class at Centennial High. She went on to graduate from Notre Dame with honors and is now completing her doctorate at Brown University. In addition, Stacy is teaching an "Anthropology of Globalization" class at Brown this semester. * ... NIGHTMARE: Here's a nightmare story on air flight that I wouldn't wish on anybody. Lois Henry, our Californian columnist, was flying back from the inauguration when she missed her 6 p.m. connection in Phoenix and was bumped to the 9 p.m. flight. That turned out to be two hours late, but it did make it to Bakersfield only to pass over the city and turn around because of fog at Meadows Field. "They initially rebooked me on the next day's 9 p.m. flight, but I was able to finagle a seat on the 11 a.m. flight. 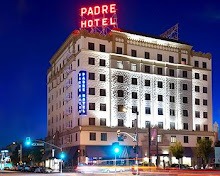 And no, US Airways did not put us up in hotels. You either had to pay for your own room, or schlump around the airport all night. If I don't see the Phoenix airport again for a good long while, it still won't be long enough!" 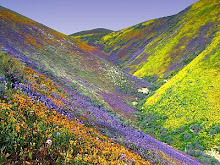 * ... WHAT'S IN A NAME: Cheryle DeMaro shared with me the origin of her own namne. "In the mid 1950s there were quite a few female babies (me included, except my dad changed my middle name to Jeanette in a compromise with my mom) that were named Cheryl Ann. Working in banks over the years I met a few of them in Bakersfield. I got curious and asked my mom why she picked that name. She said while in the hospital a new TV series came on and it was called 'On the Waterfront' starring the hunk at the time Preston Foster. His famous tug boat was named the Cheryl Ann. 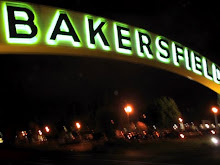 It was only on a couple of years but he had some Bakersfield women who had a crush on him. I thought maybe these 'Cheryle Anns ' would like to know. Also, does anyone know the story of the beautiful old Victorian house located behind the new Maya?" * ... GREEN FROG: Stan Anderson wrote to recall the old Green Frog Market that was located on the southeast corner of California and Chester. "In the early 1950s, Paul Taylor owned and operated the grocery department, and my dad, Clif Anderson, owned and operated the 'full service' meat department while Charlie Everett owned and operated the produce department Somewhere around 1953 or 1954 Mr. Everett built the store at Alta Vista and Bernard and the Chester store closed. At this point, my dad went to work in the Alta Vista store where he worked for Mr. Everett as a meat cutter until he retired in 1974. My Mom, Naomi Anderson, was the bookkeeper for the Bernard store from about 1955 until she retired in about 1992."